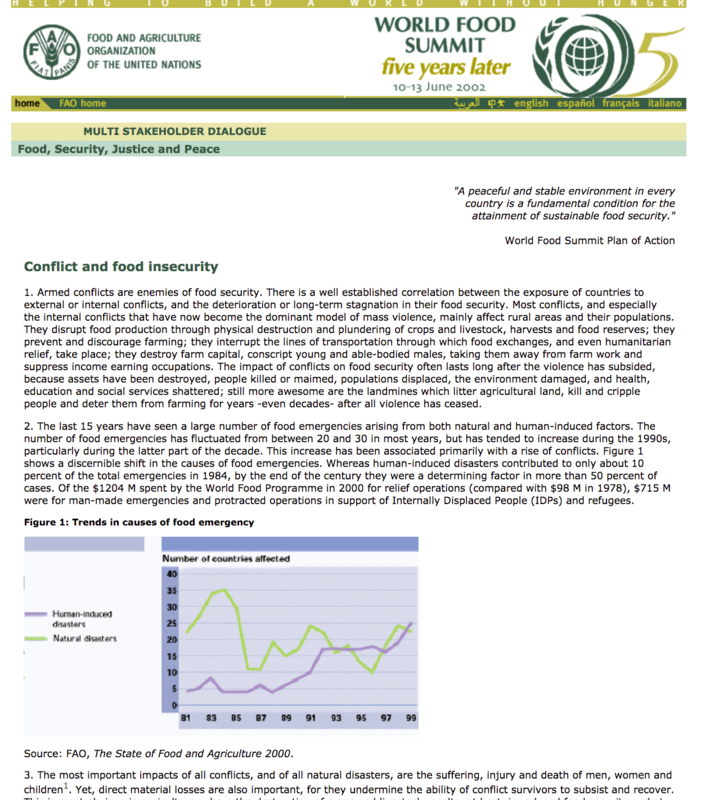 Armed conflicts are enemies of food security. There is a well established correlation between the exposure of countries to external or internal conflicts, and the deterioration or long-term stagnation in their food security. Most conflicts, and especially the internal conflicts that have now become the dominant model of mass violence, mainly affect rural areas and their populations. They disrupt food production through physical destruction and plundering of crops and livestock, harvests and food reserves; they prevent and discourage farming; they interrupt the lines of transportation through which food exchanges, and even humanitarian relief, take place; they destroy farm capital, conscript young and able-bodied males, taking them away from farm work and suppress income earning occupations. The impact of conflicts on food security often lasts long after the violence has subsided, because assets have been destroyed, people killed or maimed, populations displaced, the environment damaged, and health, education and social services shattered; still more awesome are the landmines which litter agricultural land, kill and cripple people and deter them from farming for years -even decades- after all violence has ceased.